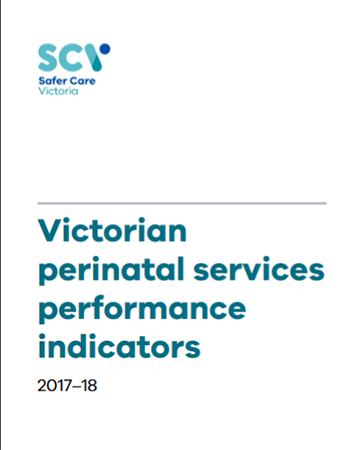 The Victorian perinatal services performance indicators report allows consumers to compare and evaluate hospital performance in relation to outcomes for women and their newborns in Victoria. The report presents and discusses data from Victorian maternity services on 12 key performance areas and 24 performance indicators. The report data spans the antenatal, intrapartum and postnatal periods so health services can compare results and monitor variation against their peers. These performance indicators are widely accepted as appropriate, useful and insightful measures of the quality of care. Public and private hospitals have been identified next to performance data. Perinatal mortality is also reported for every hospital. Report available in PDF format only.